Welcome to Satiate Nutrition. We want to help you fuel your active lifestyle. This delicious and easy salad recipe is a perfect meal prep recipe for to-go lunches. 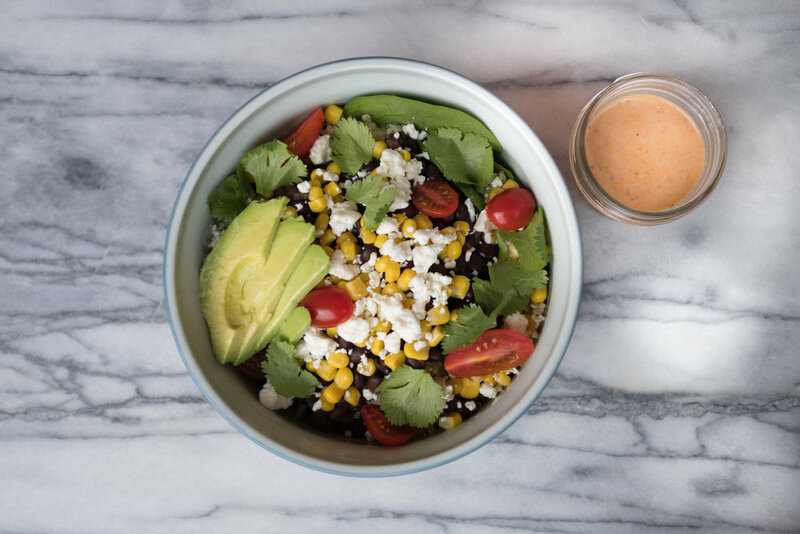 Using last post's salad formula, this recipe was created for anyone who enjoys Southwestern flavors. The below recipe serves two, but you could absolutely scale it to serve more if you plan to eat it for lunch multiple days in a row, which is what Dalton and I do each week for work. We prep lunch on Sunday and eat it all week long. 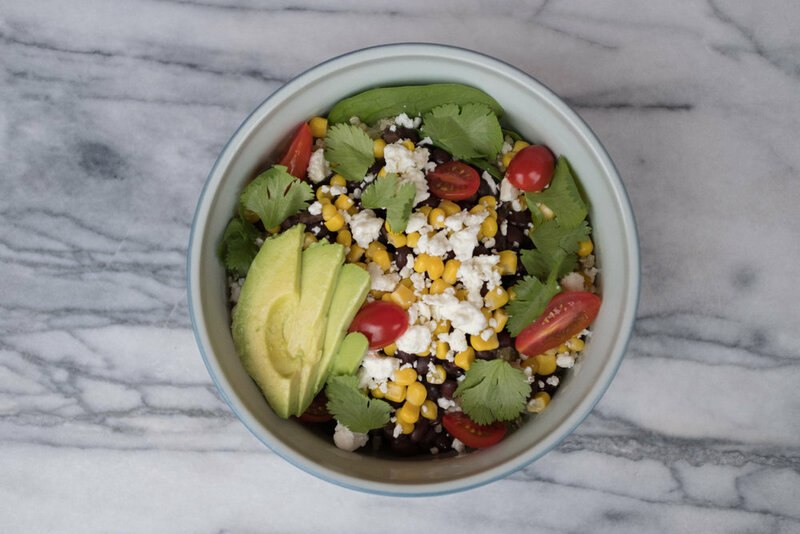 The key with make-ahead salads is to store ingredients separately in the fridge if you plan to eat it for multiple days. Either build the salad in a to-go container the night before, or the morning of the day you need it. 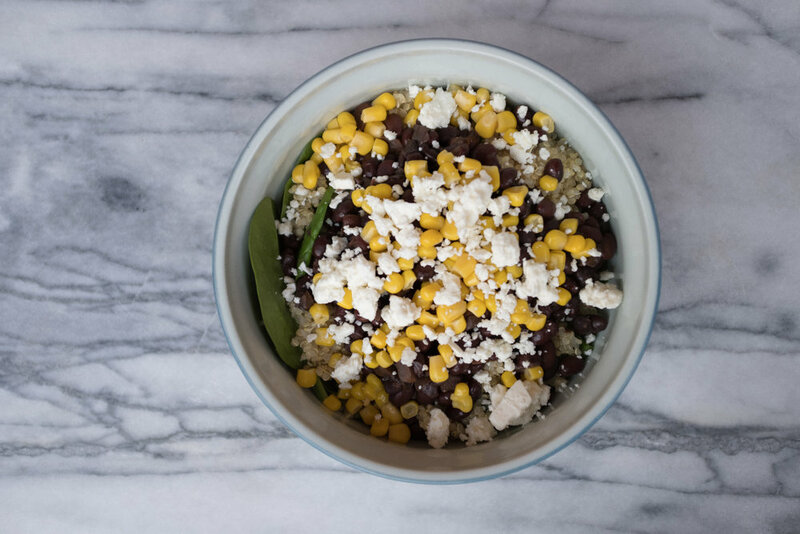 Salad Assembly: In two to-go bowls or tupperware, layer ingredients as follows: spinach, quinoa, black beans, corn, tomatoes, feta cheese, avocado, and garnish with cilantro and pepitas. Store dressing in a separate container such as miniature mason jar or tiny tupperware. 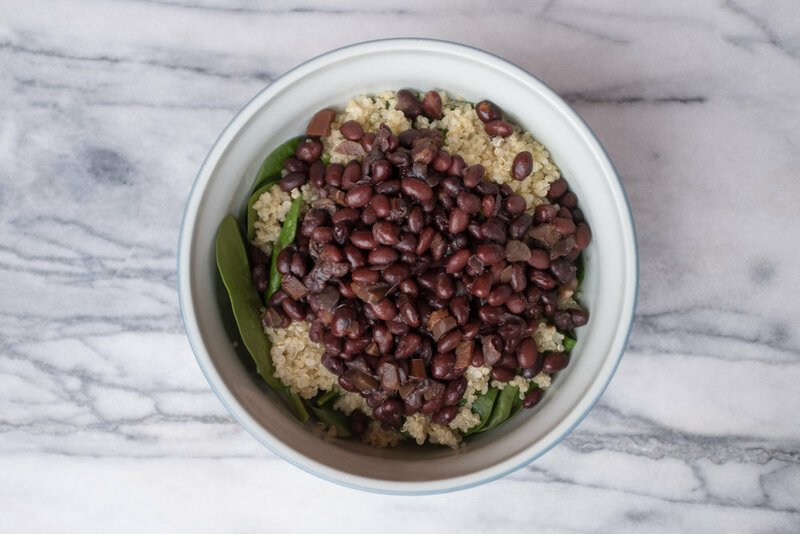 *Black beans can be drained and rinsed from canned, or you can cook your own over the stove in a stock pot/dutch oven, or even quicker in a pressure cooker for a larger batch. Quinoa can be cooked in a large batch as well if prepping in advance. 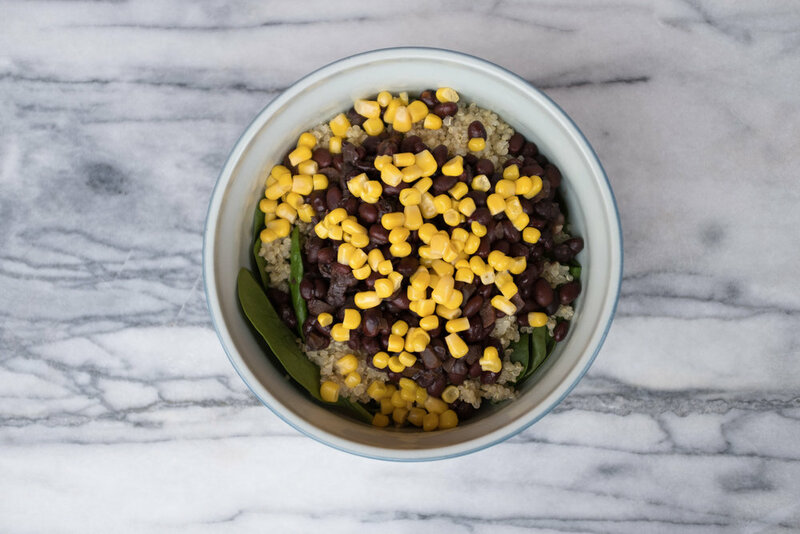 Corn: I opt for canned, drained and rinsed, but when it's in season, shucked from the cob is amazing. For the Dressing: combine all ingredients in a food processor or blender and blend until smooth. Store in an airtight container up to 7 days. If you try this recipe, I'd love to hear from you. If you post it on the gram, #satiatenutrition.